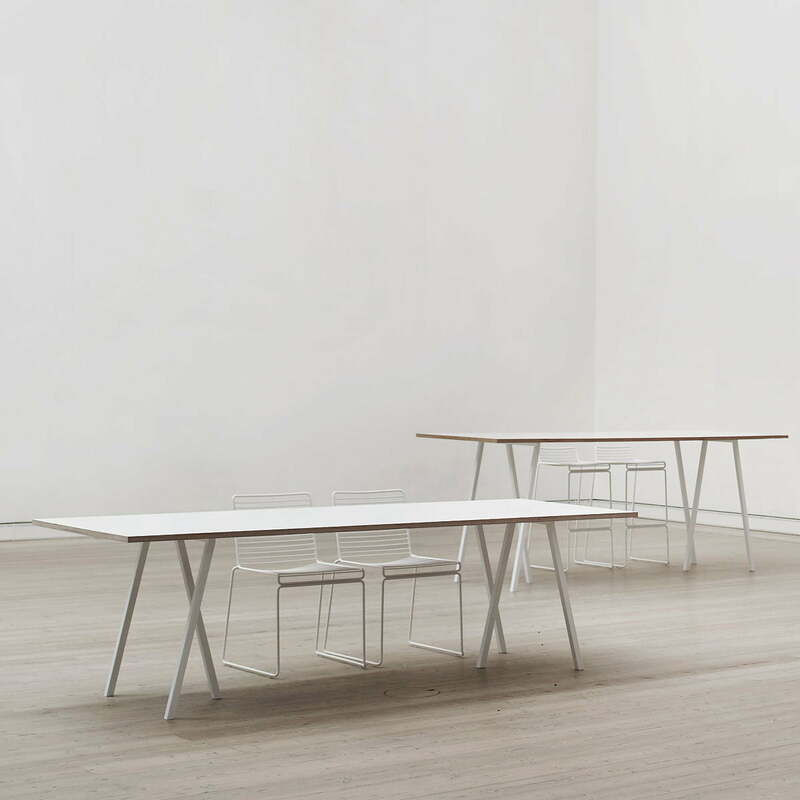 The Loop Stand furniture was designed by Leif Jørgensen for Hay. The series includes simple, functional furniture at affordable prices and is continuously being expanded with new models. The Loop Stand able comes across as very down-to-earth too. Its smooth surface is complemented with clear edges. 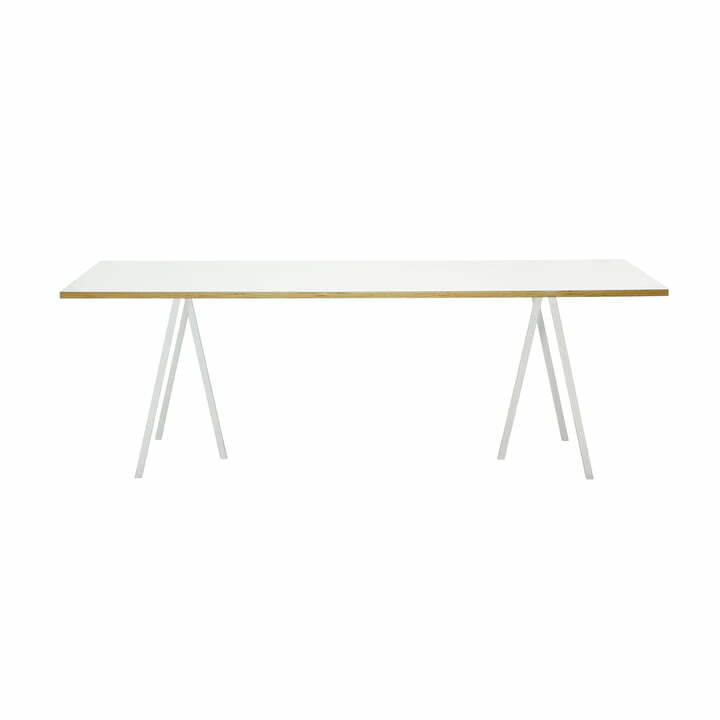 With the black version, the tabletop (linoleum) and edges (ash) are painted in the same colour, which makes the six-legged table appear elegant and chic. In white, the edges of the tabletop (laminate) are left in a natural wooden colour (plywood), giving Loop a classic Scandinavian holiday cottage appearance. The legs are made of lacquered, powder-coated steel. Loop was designed by Leif Jørgensen. The Danish architect and designer proves his confident sense of space with this product, which he has already been able to furnish all Scandinavian Diesel stores with. Jørgensen and his Loop series, with its timeless beauty and clear Scandinavian design cues, blend in perfectly with the exclusive collection by Hay, from Horsens in Denmark. The Loop Stand table is available in various heights and lengths as well as with a round tabletop. 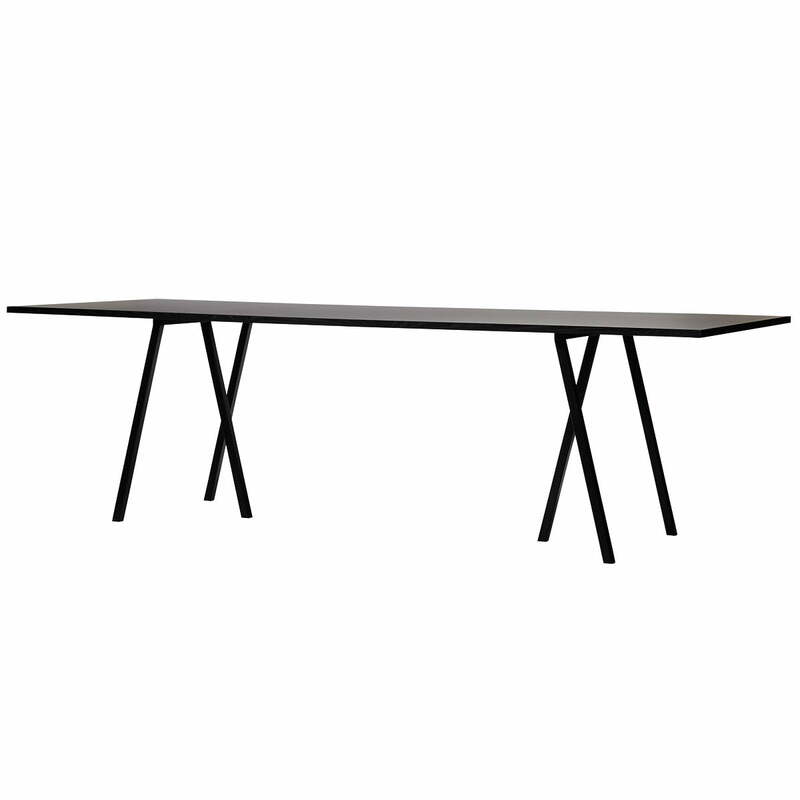 Please note: With a length of 200cm or more, the manufacturer recommends the additional usage of the Loop Stand support.This frame guarantees additional stability and depending on the table’s usage is even recommended for tables less than 200cm long.